Betty Makoni is honoured to be one of the guest speakers at Charity Ball fundraiser for Zimbabwe Women Association in Northampton. 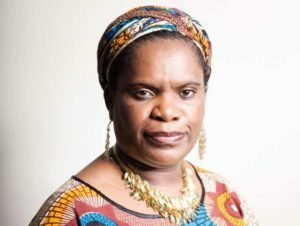 Betty Makoni has twenty seven global awards and she is nominated for the prestigious Goddess of the year award where she is now one of the top ten women from Africa and the first to be nominated for the award. The event will be held at holiday Inn in Northampton and it costs 40 pounds per couple and it starts at 7pm and ends at 1am. Zimwomen Association formed in 2009 empowers women, children and young people to lead better lives and unites the community in health programs that support growth and development. The focus is on health, education and improving life skills. They believe in building young lives and afford their children a better chances as well as build stronger communities which have healthier and more active people working together to tackle problems. University Of Northampton, Avenue Campus, The Portfolio Innovation Centre, Studio 1, St Georges Avenue, Northampton, NN2 6JD.